Dan Paisley and his band Southern Grass spent a brief time Downunder last year, wowing visitors to the Harrietville Festival with their own style of bluegrass. It is fitting that this year they are recognised for their talents and contribution to bluegrass music industry over the year. This recognition comes in the form of their nomination in the Vocal Group of the Year Category at this year’s IBMA awards show, coming up in October. The band’s timely release of their new CD – their first for Rounder Records – is called The Room Over Mine. Some say, Paisley and his band play bluegrass traditional style with a touch of country soul. Nevertheless, their new CD is proving to be a success. Ralph Stanley is to be presented with the Governor’s Award for the Arts on 17th Sept this year. The award will be presented at the Virginia Museum of Fine Arts in Richmond. The 81-year-old singer, banjo player and songwriter is the only musician among the 10 winners announced on the 5th Aug. by Virginia Governor Timothy M. Kaine. The awards are given in recognition of outstanding achievement and excellence in the arts. The award calls attention to the creative spirit that contributes to the quality of life throughout the Commonwealth. 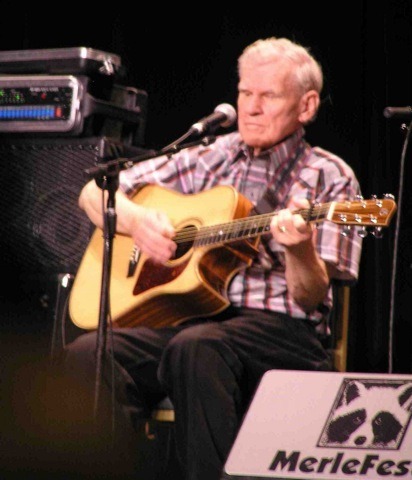 Ralph Stanley of Clintwood – Stanley is recognized worldwide for his unique style of banjo playing. He formed the Clinch Mountain Boys which became one of the most celebrated bluegrass groups in the world. Two news stories this morning reveal the news that CD sales are down 8.5% while digital – online – sales are outstriping the CD format sales. The Daily Telegraph also reports that digital download sales are outselling CD’s by 20:1. The Australian reports that: ARIA chief executive Stephen Peach believes that despite the CD slump, the 43 per cent rise in digital revenue, totaling almost $26 million, signals a healthier future for an industry that has struggled to embrace new technology and combat piracy. However, I wonder what percentage of the lost CD sales are a result of Australians importing their own CD’s. Those who bring their music in from the USA for example will know of the amazing disparity between the cost of a CD in Australian music shops, compared to those in the USA. As an example, the new Alison Krauss CD will cost up to $38.00 in an Aussie music store. To buy the same item in the USA will cost less than $20.00, even less ($15.00) if you care to buy online. Aussie bluegrass fans have long ago figured out that if they pool their resources and order direct, they can afford double the number of CD’s for the same cost if they buy online. Former deceased stockbroker Bob McLean, a major philanthropic donor, has been discovered swindling $67 million from investors and creditors. McLean ended his own life shortly after coming under scrutiny last September after being accused of defrauding investors. Investors thought McLean was investing their funds, but bankruptcy officials say McLean used much of the cash for his own gain and to make donations. McLean had bought houses and gifted investors money to family and friends, charitable organizations as well as the Middle Tennessee State University (MTSU). The MTSU has agreed to pay back the estate of Bob McLean $570,000, closing an embarrassing chapter in the university’s history. The disgraced stockbroker had also donated an undisclosed amount to the Tennessee’s Country Music Hall of Fame and Museum. 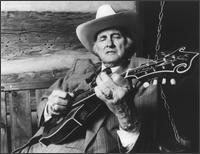 The Museum used the funds to acquire Bill Monroe’s Gibson F5 mandolin and Maybelle Carter’s Gibson L 5 guitar. The legendary Carter guitar, and Monroe’s famous mandolin are among the most-revered instruments in country music history. The bankruptcy trustee has filed a lawsuit against the Country Music Hall of Fame to retrieve the music industry donations. The dispute remains unsettled. Thus, the future of two of the worlds most revered instruments remains uncertain for the moment. …Doc would learn how to play that little 8-inch diameter banjo, as well as the harmonica and guitar, as time went on. As he grew older, however, the guitar would become his first love. By the 1950’s Doc was playing electric guitar in a local dance band and on the nights when the fiddler didn’t show up, he would try and play the fiddle parts with his guitar. It took him a long time to learn those riffs, but that simple adjustment set him on the path to creating the unique lead licks on the acoustic guitar that he is known for, a technique called flat picking.